This is the real Florida lifestyle! Beautiful true lakefront home in Lake Padgett Estates! SKI, TUBING, FISHING! 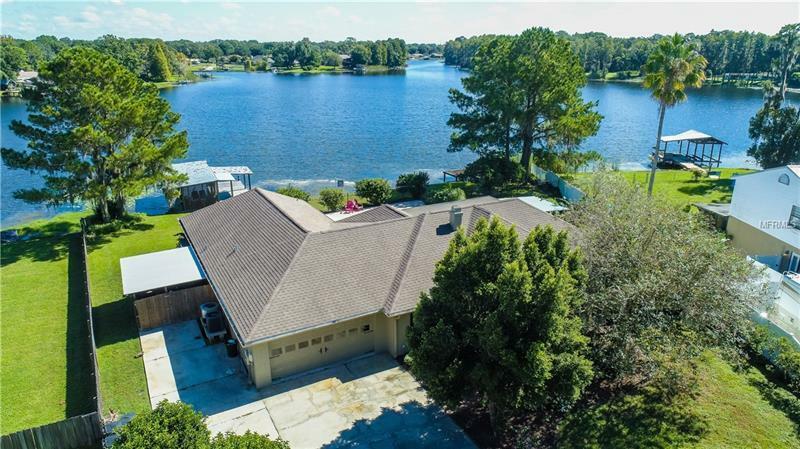 This gorgeous waterfront home offers all the most sought after features including a beautiful heated saltwater pool w/ paver patio, boat lift, covered & open dock, seawall, fenced yard, .36 acre cul de sac lot, 2 master bedroom suites, 24x12 covered lanai, 2 master suites, covered shed/storage area and an extended concrete pad perfect for boat parking. Community features: 3 ski lakes, horse stables, parks, playgrounds, boat ramps, basketball, tennis, volleyball. If you are looking for a new subdivision with neighbors right up next to you, this is not the house for you. If you are looking for full-time, year-round entertainment only nature can provide this is it! End of the road, open water lakefront home w/ a pool, 140 feet sea-walled yard, 2 docks, on an 88 acre deep-water ski lake. This is an active lake community with wakeboarding, skiing and pontoon rides during happy hour. Every holiday season brings neighbors together; from an annual (20th year) lighted boat parade in December to an impromptu flotilla of rafts and boats in the middle of the lake in the summer as parents visit and kids play. No more leaving home for vacation- You live on vacation. All this without HOA fees and Flood insurance. True ski size lake front living is in limited supply while new subdivisions just keep popping up. You are not just buying a house you are investing in a lifestyle. Once you live it you will get it.